The Golden Jubilee Bundle is the latest collection of great indie titles from Indie Royale. There are six featured games: Ballads of Reemus: When the Bed Bites, Star Hammer Tactics, Akaneiro: Demon Hunter, Bird Assassin, Amazing Zombie Defense and Zombie Football Carnage. There's also a bonus album from CoLD SToRAGE: Tik Tak for those who beat the bonus target price. A funny and outlandish, fully voice-acted, cartoon adventure game. Join Reemus the insect exterminator and his companion and minstrel Liam the purple bear on an all-new quest as they travel to exotic locations, battle giant insects and bumble their way towards writing a ballad of their adventures that will finally impress the citizens of Fredricus once and for all! Ballads of Reemus: When the Bed Bites is available for Windows via Desura and in Steam Greenlight. When Novus falls, will you be its saviour? Take command of the infamous NSG-14 as Lieutenant Fredan Dyce in Campaign mode, or battle your friends for supremacy in 'hotseat' Skirmish mode. With every ship of Naval Strike Group 14 under your direct command, launch missiles to annihilate your enemies from afar or close in for explosive ship-to-alien broadsides. Star Hammer Tactics is available for Windows via Desura and in Steam Greenlight. Akaneiro: Demon Hunters transports you to a word realized in a striking visual style inspired by Japanese ink, watercolor and wood-block illustration. We've dug deep into the history and folklore of Japan when designing our scenarios and characters. Mixing this foundation with an original mythology inspired by Red Riding Hood has yielded a fantastic and inspiring setting for players to explore. Akeneiro provides players with a free-to-play ARPG of depth, blended seamlessly with the speed and intensity of a pure action title. Combat is fast and unrelenting, but you can sway the tide with careful selection of abilities and equipment. A multitude of character building paths are available, though we've avoided being overly proscriptive, ensuring you can find the best balance of abilities and equipment for your personal play style. The game world is separated in to Regions, which represent a quadrant of Yomi Island. The bundle version of the game includes $4.99 worth of in game items received via an in game email which is activated via the in game options/gift code option. Akaneiro: Demon Hunters is available for Windows via Desura and Mac. Birds murdered your Pa! His final wishes are for vengeance. Take your Pa's rifle and kill as many birds as you can to avenge his death. Battle a variety of enemies and bosses on your quest to kill the bird that murdered your Pa. Game Features: 3 levels of difficulty (Easy, Normal, and Hard) Boss levels and more! Player Upgrades (purchase weapons and gear). 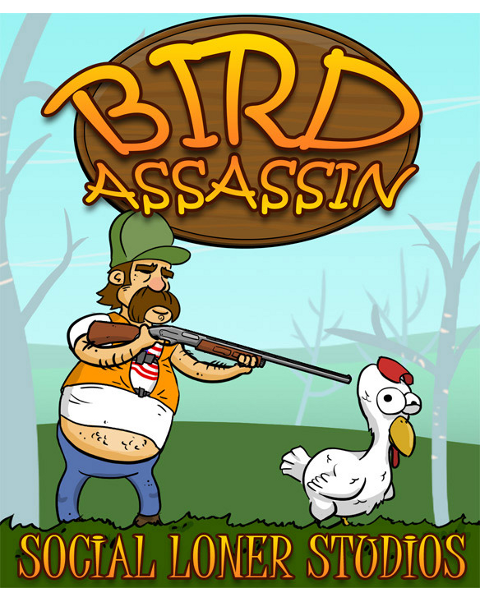 Bird Assassin is available for Windows via Desura and in Steam Greenlight. Amazing Zombie Defense is all about defending yourself against hordes of undead coming at you every night. However, when you're the only survivor stuggling against waves of enemies who are getting stronger and stronger, your end is unevitable. The only imporatant question is HOW LONG can YOU survive? The game is a top-down arcade zombie shooter with tower defense elements. Amazing Zombie Defense is available for Windows via Desura and in Steam Greenlight. Zombie Football Carnage is available for Windows via Desura. 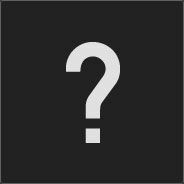 The bundle bonus album is from CoLD SToRAGE. It's the amazing Tik Tak. Beat the bonus target price to get this bonus album. You can find more information on The Golden Jubilee Bundle, including real-time statistics and its current price, on its official website or via its Facebook, Twitter and Google+ pages. Take your Pa's rifle and kill as many birds as you can to avenge his death. Every bit as gloriously dumb as the trailer promised. Very short though. Lots and lots of shooting! Don't forget to jump! Great game! I love this game so much! It's so fun 9/10. But it's so short. You can finish it in 1 hour! Please can you make some updates? Maybe the ostrich's father or something? With some more weapons? Obviously more locations as well? but please update the game! I love it! Hi everyone, it's me again. Been a little busy with our other game that will be released tomorrow. But more importantly, if you have not already noticed. We created a demo version of Bird Assassin that allows you to play the tutorial, level 1 and level 2.... Also during this time we fixed a couple minor issues for those of you who play with an Xbox Controller.... some button images didn't show up. Anyhow, Thanks for your patience and if you have time please check out our newest game SEAL Team 12 (available tomorrow)! In response to Kazekai I have just bought the PC version of this game. I already owned it for Xbox, but it's a good game and I felt the need to stand for justice. Haha, lol :) But you can play PC version with Xbox controller! So it's kinda insactly the same, did you use the mouse and keyboard on the PC version for a new/better experience?